rfu (Reinhard Friesenbichler Unternehmensberatung / Business Consulting), which was founded in 1997, is the specialist in sustainable investment. Thanks to our key competencies, we support customers in the development and implementation of investment strategies, especially by conceiving investment products, doing sustainability research and integrating sustainability in investment processes. Customers and partners are institutional investors, companies and public authorities in German speaking countries as well as in Central and Eastern Europe. Our projects include the sustainability indices VÖNIX and CEERIUS as well as several funds and other portfolios. rfu’s know-how in sustainability is brought into investment products with an overall volume of several billions of Euro. The “technological heart” is formed by rfu’s Sustainability Model – one of the most mature tools for external sustainability analysis. Various awards for products based on our concepts demonstrate this, and our indexes impressively show the positive performance effect of rfu’s Sustainability Model. studied Business Administration at Graz University after being trained as a mechanical engineer. He completed his business studies by handing in his final paper with the topic of “Ethical Investment”. His first professional activities included work as an engineer, business journalist and Managing Director of a financial services provider. 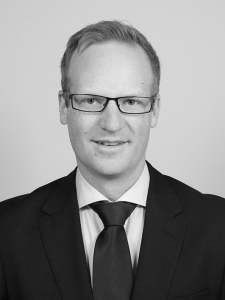 Since 1997, he has had his own company rfu Unternehmensberatung (Business Consulting), Vienna. Various teaching assignments and functions in Supervisory Boards, activities as an examiner and auditor as well as numerous publications. completed her degree in Law at the University of Graz and Italy, post graduated in Public Relations and enclosed a training as an academic CSR-Manager. In the past she has worked as a journalist, in the Austrian Ministry of Foreign Affairs as well as speech writing and public relations for the European Commission in Brussels. Lectorship at the University of Applied Sciences bfi, Vienna. 2012 – 2014 Consultant and Sustainability Analyst at rfu with a focus on Financials. Since 2014 Managing Director, responsible for Communications and Management. first completed business studies at Vienna University of Economics and Business and then studied Social Ecology at the Faculty for Interdisciplinary Studies (IFF Vienna). Professional activities in projects with a focus on development policy and environmental education as well as scientific cooperation in sustainability research. Editor and auditor of the “Gemeinwohlökonomie” (“Economy for the Common Good”). Since 2005 Consultant and Sustainability Analyst at rfu with a focus on Sovereigns, Industrials and Financials. after completing her apprenticeship as a wholesaler she studied Environment- and Bio-Resources Management at the University of Natural Resources and Life Science in Vienna. Occupations in academic research projects in the sustainable development field, projects focusing on environmental policy and awareness raising as well as an internship at the European Parliament. Since 2018 Sustainability Analyst at rfu with a focus on Health Care and Telecommunications. completed his degree in Business Administration at the FH Vienna University of Applied Sciences of WKW and enclosed a training as an academic CSR-Manager at the University of Applied Sciences bfi Vienna.Previous occupations in auditing and tax consulting as well as government tax auditing of large-scale corporates within public service. Since 2016 Sustainability Analyst at rfu with a focus on Financials. completed his master’s degree in Management at the University of Economics and Business in Vienna. Experiences abroad at the London School of Economics as well as the Indian Institute if Ahmedabad. He has previously worked for an international consulting company in China and a global mobility group in Germany. Since 2018, Sustainability Analyst at rfu with focus on Financials, Consumer Goods & Services. completed her degree in CSR and Ethical Management at the University of Applied Sciences bfi Vienna and studies Cultural and Social Anthropology at the University of Vienna. Since 2012 Research Assistant at rfu with a focus on Sovereigns. and which we provide to the public even without commercial interests by means of dialogue, teaching and publication. and also expect this from our stakeholders.